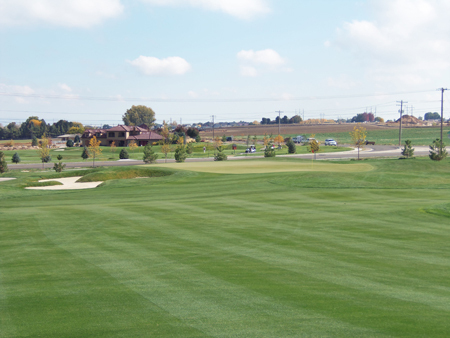 RedHawk Public Golf Course is an 18-hole championship facility overlooking Lake Lowell in Nampa, Idaho. The golf course, opened in July 2014, offers panoramic views of Lake Lowell and the Owyhee Mountains. The championship designed golf course will challenge players of all skills levels with its smooth fast greens, rolling undulating fairways, and numerous teeing areas. Along with being an 18-hole championship golf course, RedHawk also offers a championship practice facility with a full driving range, a new practice putting green, and short game/bunker facilities for all its players and patrons alike. * 2014 Idaho Golf Association State Junior Championship. * 2015 Idaho Golf Association Women's Four-Ball State Championship. If you are looking for an exciting and well-maintained golf course, a friendly staff, and a great place to get away by yourself or with the family, RedHawk Public Golf Course is the place for you!